With DaXtra Capture, save time, increase efficiency and boost. Our fully automated workflow solution and resume analysis software, seamlessly loads candidate data from dedicated email addresses, website portals and shared network folders to your Bullhorn database — without duplication. Monitor mailboxes set up for receiving incoming resumes and process them into your Bullhorn database as they arrive. Incoming CVs are parsed, deduplicated, and loaded into the database in seconds, with full queue management and automated exceptions handling provided within the product. Website portals and network folder shares can also be monitored in the same way. 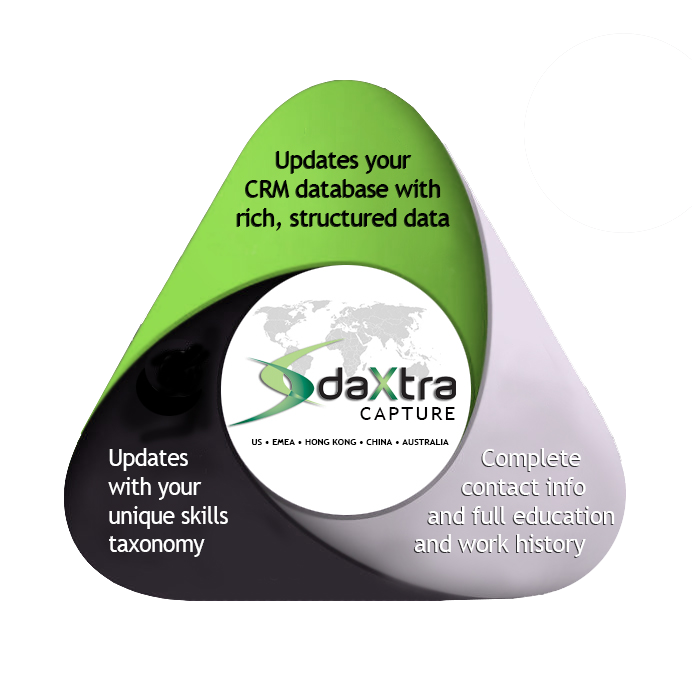 DaXtra Capture gets candidates to you faster and updates your Bullhorn database with rich, structured data, complete contact information, full education and work history, your unique skills taxonomy along with branding and formatting resumes. Gain more focused and targeted searching with a fuller range of candidate information delivered to your Bullhorn database. The result is quicker shortlisting and more placements with DaXtra Capture’s automated CV management workflow. 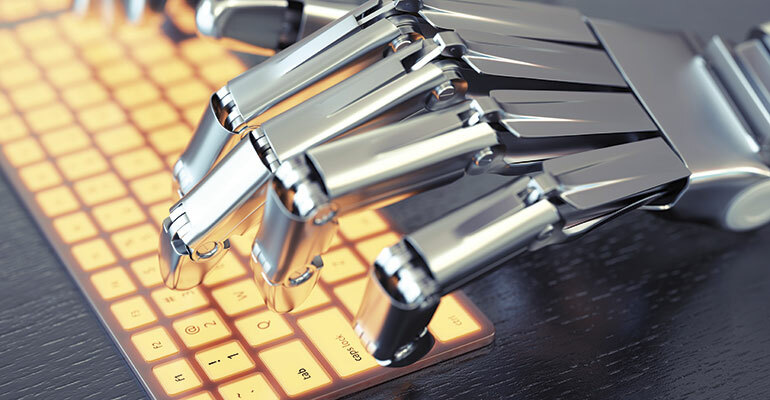 Daxtra Capture accurately and automatically converts raw, unstructured CV data into structured data with the capability of parsing in approximately 30 languages. On the forefront of technology in language parsing development, Daxtra is consistently benchmarked as the highest overall in resume parsing accuracy across multiple languages. By utilizing DaXtra Capture, different workflows can be specified for each queue. Logic and behavior can be configured for new records versus updates, including custom tracking of status, ownership, source and applications to jobs. Optional email alerts can be sent to either candidates or recruiters confirming status of the CV, allowing proactive workflow notifications. Save up to 95% of direct labor cost over alternative candidate data entry methods. Reduce administration tasks and let your recruiters focus on what they do – making placements. Setup and configuration is easy with our simple web administration interface. The majority of tools are provided as self-service modules. While DaXtra Capture’s CV analysis software automatically processes most CVs; you will be notified in the event of an exception. Automatically loads CV and resumes from multiple sources to Your Bullhorn database. DaXtra Capture monitors job boards, website applications, network folders and dedicated mailboxes set up for receiving incoming resumes, then processes them into your Bullhorn database as they arrive. Incoming CVs are parsed, deduplicated, and loaded into the database in seconds, with full queue management and automated exceptions handling provided within the product. Website portals and network folder shares can also be monitored in the same way. Automated data extraction with multilingual language-understanding capability – in all geographical regions and modern languages and dialects. DaXtra Capture gets candidates to you faster and updates your Bullhorn database with rich, structured data, complete contact information, full education and work history, and your unique skills taxonomy — along with branding and formatting resumes. Gain more focused and targeted searching with a fuller range of candidate information delivered to your Bullhorn database. The result is quicker shortlisting and more placements with DaXtra Capture’s automated CV management workflow. DaXtra Styler eases the administration burden of your recruitment processes, ensures brand recognition and focuses your time on what is truly important; selling the candidate to your client.